An upright, dense pyramidal form often becoming broader with age. Typically plants have a single or multiple trunks. The foliage is flat, scale like and dark green turning bronze in winter. American Arborvitae prefer full sun but can tolerate partial shade. Plant in moist, well drained soil. 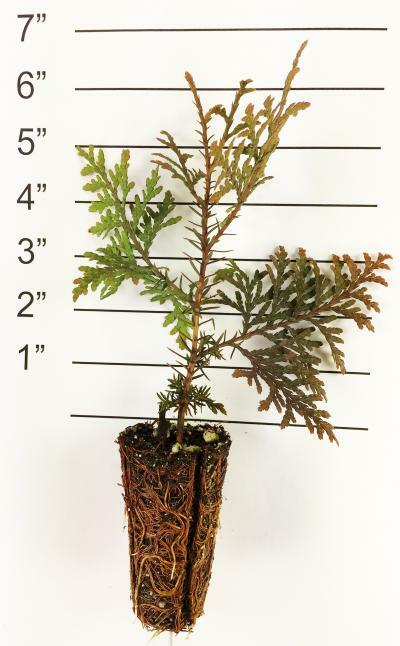 This native species can tolerate wet and limestone soils. 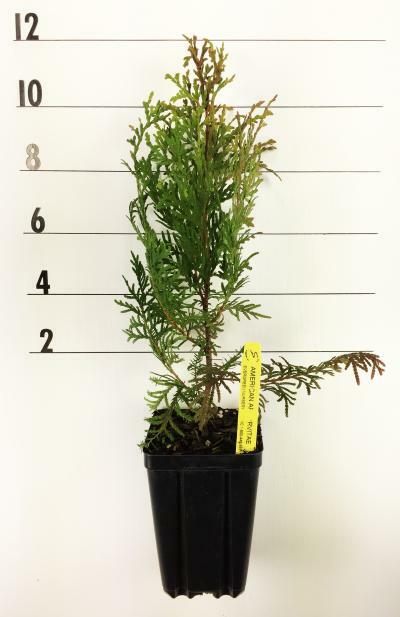 Often American Arborvitae is found growing in rock crevices in the wild. 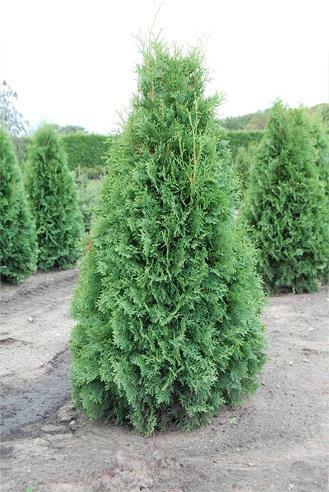 American Arborvitae shears exceptionally well and can be used as hedges, screens, groupings or specimens. There are many useful cultivars available for any landscape setting. Seed Source: Door County, Wisconsin.